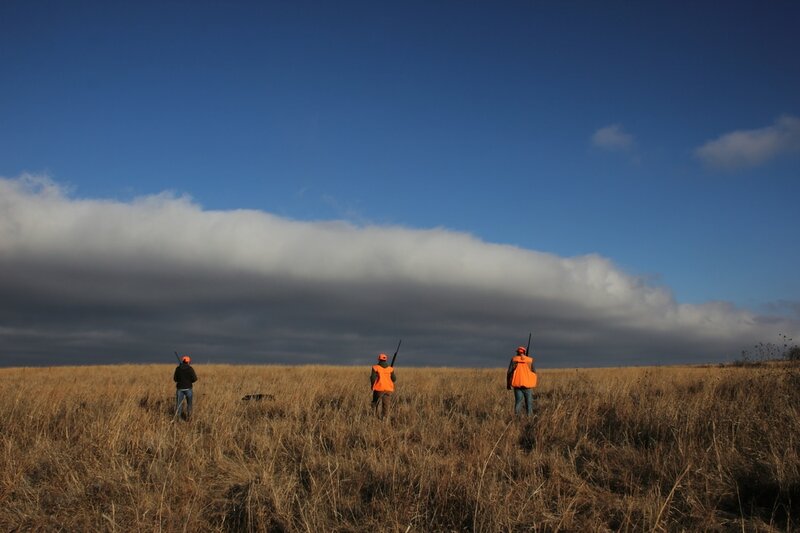 The Flint Hills is a native grass prairie that provides plenty of cover in the heart of the Flint Hills, which compliments our controlled shooting hunts (CSA) perfectly. 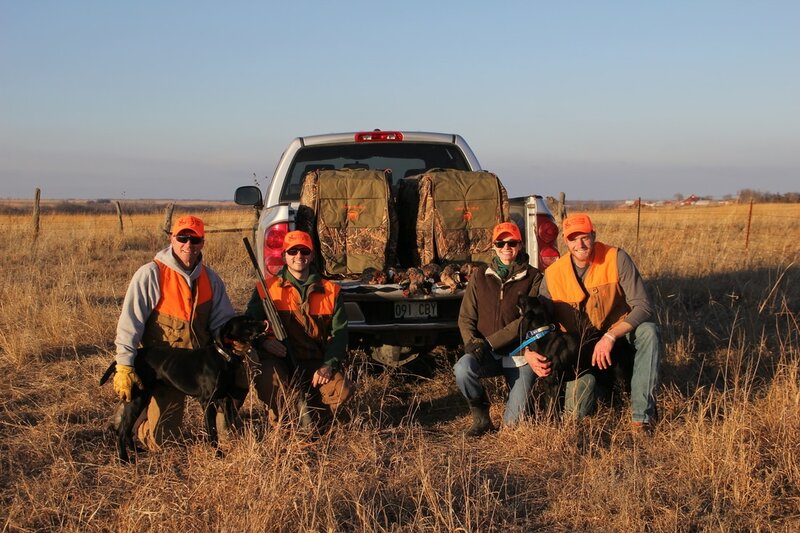 Every hunt includes guide service, dogs, and the cleaning and packaging of your birds. You may bring your own dogs, if desired. Hunt packages are detailed below, but call to let us tailor a package to meet your interests. A 50% non-refundable deposit is required to book a date. That deposit may be applied to another hunt at a later date, or transferred to a substitute hunter. Overnight Stays are available. Ask about customizing hunts! For multiple day hunts, check out the Cottage House in Council Grove, KS for your overnight accommodations. They are not your average hotel. Their comfortable rooms and personable service provides a feeling that will take you back to a simple and classic time. They are able to accommodate your every need. Give them a call @ 620-767-6828 or visit their website: The Cottage House. Check back frequently for special events-- they will be listed as they are scheduled! extra birds at $25 ea.